I have a strange lump in my mouth. It’s called Jimbob. Jimbob appeared five years ago as a little bobble on the side of my gum. I thought he was an ulcer, I get them when I feel a bit run down so I just ignored it. And then a month or so later Jimbob appeared again. I’ve worked in dentistry since I was 17 so I got it looked at and was told it was a dental sinus – a channel that drains infection from a dead or infected tooth which appears like a lump on the surface of the gum where it drains. Effectively an abscess. Jimbob the lump(or sinus) kept appearing regularly and never went away despite antibiotics and treatment. He popped up sometimes twice a week and every time I got a little bit of an ache in my jaw followed by a tiny bubble that would appear and then burst. After another appointment I was then sent for more screening as it was unclear what Jimbob was. In 2017 it was thought that Jimbob was the result of a tooth with an old root filling – so I had an operation to remove the infection from the inside. Still the lump kept appearing – and as of now, December 2018, I’ve had another operation and still the lump keeps appearing. Of course a lump is worrying, as no one seems to know what it is. 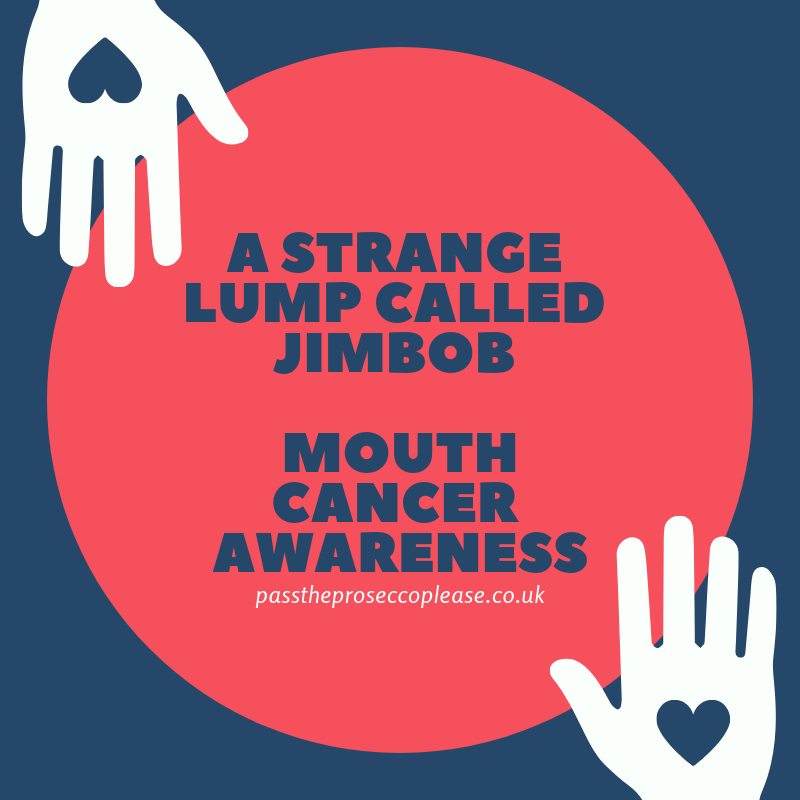 Lumps and bumps of any description should be monitored and as a dental nurse I wanted to share some advice on being aware of your mouth and teeth, especially as the elephant in the lump-related-room is the Big C and with 9 out of 10 mouth cancers survivable if detected early you should check your mouth regularly. Visit your dentist regularly. This is a given – you should see your dentist at least once a year for an examination as they not only check your teeth but your gums and soft tissues too. Toothache is the worst, why wait until you are in pain when you can keep on top of things and go regularly? 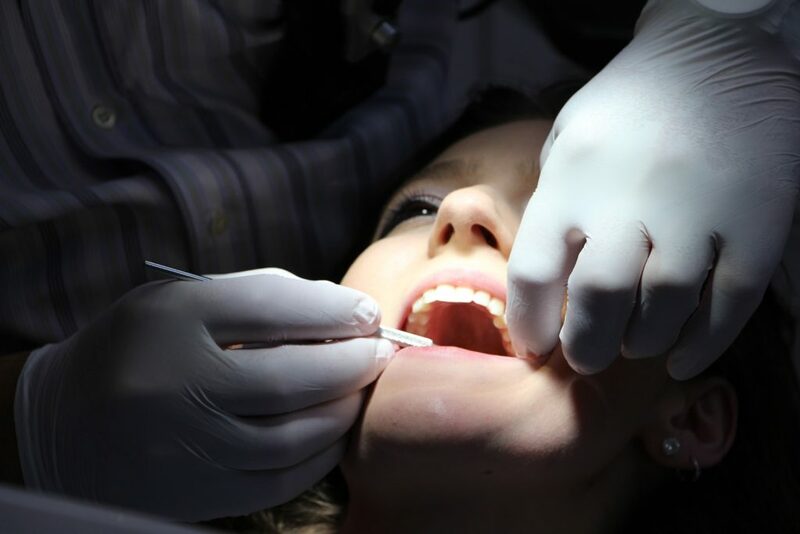 Dentists look after your teeth, gums, parts of your face and neck too, so any concerns relating to those areas should and can be raised with them. Stop smoking. 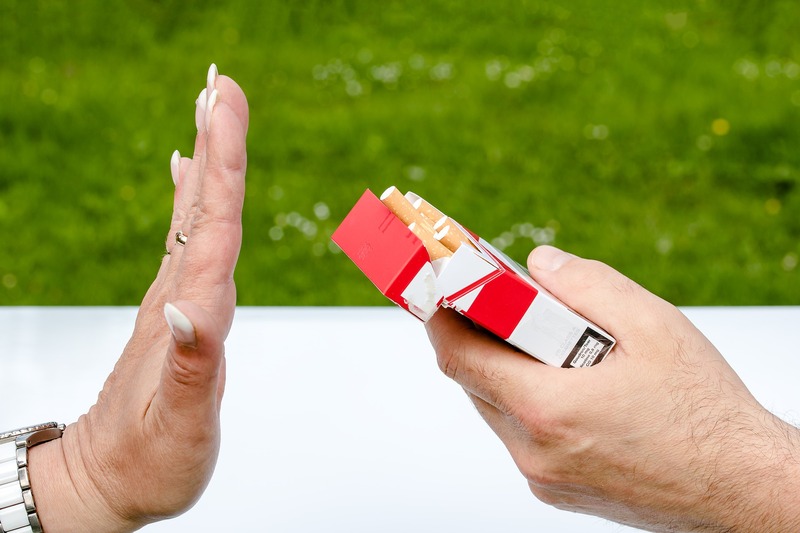 Statistics suggest that 90% of mouth cancer sufferers are smokers with smokers 6 times more like to develop mouth cancer. I’ve seen people with large tumours and bits of face missing due to cancer – I’m not going to lecture but smoking is not big and not clever. Cut down on alcohol. Yes, given the blog name this is a controversial suggestion but don’t drink excessively. A person who drinks excessively and smokes is 30 times more likely to develop mouth cancer than someone who doesn’t. Mouth ulcers. Ulcers that do not heal in under three weeks should be looked at – they may not be anything sinister but should be checked nonetheless. Any red or white patches should be looked at too – if you phone your dentist and mention you have concerns regarding lumps or patches they will see you quickly. Swelling. Any swelling in the face, neck, cheeks or tongue should be kept an eye on and checked if you are concerned. 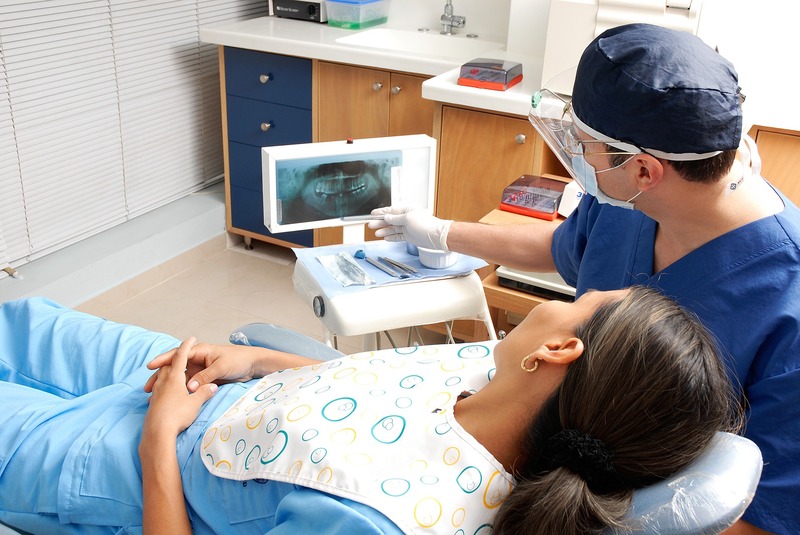 Dental infection may cause swelling and can cause complications if not treated promptly, so again, call your dentist. Bleeding. Bleeding gums are a sign of gum disease and although common it’s something you shouldn’t ignore. Did you know more teeth are lost to gum disease than decay? Finding a dentist can be tricky, especially NHS but you can use the NHS website to find a dentist or if you are in pain 111 will be able to advise you on local emergency dental services. If you have any concerns regarding mouth cancer then please don’t panic – if detected early it’s treatable in most cases and the UK boasts many treatment options such as outstanding NHS services plus private clinics such as The Loc. I’m back in a month to check Jimbob’s progress – fingers crossed he’s sorted soon!